I don’t know about you, but every time I am walking down a grocery aisle or standing in line waiting to check out and I see a bag of beef jerky, I so badly want to grab it and put it in my cart! Grocery store employees must know this too, because otherwise they wouldn’t always put the bags of jerky on the impulse-buy racks at the checkout registers. Should you add that bag of jerky to your cart? Well, if you’re like me, what ultimately talks you out of it each time is your wallet. Beef jerky is delicious, but sadly it’s also really expensive. Let’s say for a moment though that you don’t care how expensive jerky is. You just want to decide based on your health. 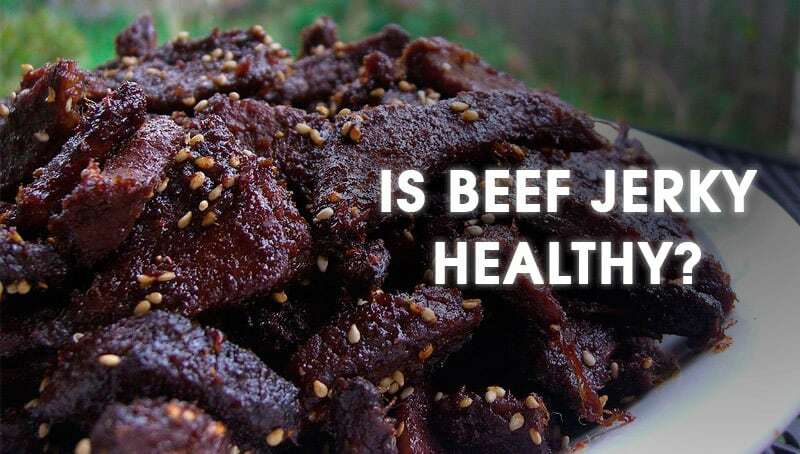 Is beef jerky good for you? It’s such a tempting though, right? I mean, beef jerky is meat. You know you shouldn’t eat a steak every day, but you also know that it’s rich with protein and other vital nutrients, and now and again a little red meat in your diet is a good thing. It can confer some great nutrition. 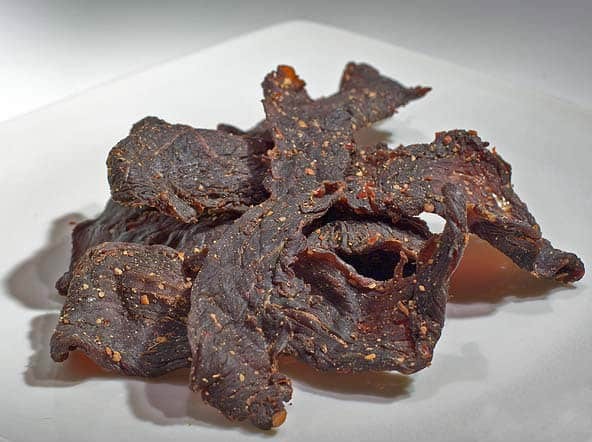 What makes beef jerky any different? Is Beef Jerky a Health Snack? • 2% or less of the following: thiamin, riboflavin, niacin, vitamin B6, and vitamin K, copper, and manganese. As you can see, there are some substantial health benefits to eating beef jerky that you are not going to get from your typical snack food. Most snack foods are high in carbs, but offer you nothing in the way of protein. You get a hefty dose of protein from a large piece of jerky, and you also get a fair bit of zinc, phosphorus, iron, and folate. Those are all great things. Another nice thing about beef jerky is that it doesn’t spike insulin levels. That makes it less likely that your body is going to go into fat storage mode. 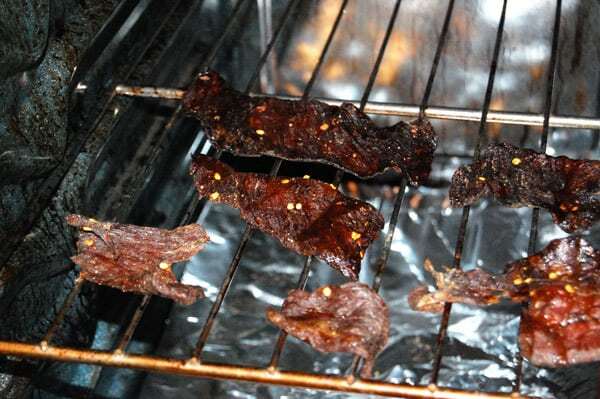 So if you want to eat a snack which is going to be satisfying and filling and maybe help stave off some of your cravings throughout the day without making you put on a lot of weight, beef jerky isn’t a bad way to go. Note that there is also monounsaturated fat in beef jerky, which is good for your heart. So while that saturated fat and cholesterol isn’t good news, it is at least balanced out a little bit. Still, saturated fat is not a good thing, and it isn’t something you want to be eating a lot of regularly. If you have a diet which is too high in saturated fat, your “bad” cholesterol levels can rise, and with them, your risk of heart disease and type 2 diabetes. But what is really bad here is the sodium. Over four hundred mg … yikes. That’s a major drawback. Most Americans already are eating too much sodium in their diets. Too much sodium can raise your risk for cardiovascular disease, kidney disease, osteoporosis, and other nasty health conditions. Looking at all this, it seems like my initial thoughts on beef jerky were largely confirmed. You really cannot say flat out that beef jerky is “bad” for you, because it is loaded with protein, zinc, folate, and iron. It indisputably contains nutrition which you are not going to find in your average snack food. It is after all meat. But you really cannot claim that beef jerky is “good” for you either since it is packed with sodium and saturated fat. That’s a one-two punch for bad heart health. And if you are like the typical American and you already have too much sodium in your diet, you are already in the position of needing to cut back to return to optimal health. Adding beef jerky to the mix doesn’t make a lot of sense. So beef jerky is a mixed bag. In some ways it is good for you, while in other ways it is bad. Enjoy it in moderation as part of a healthy diet, and watch your sodium intake! But don’t cave into the urge to grab that beef jerky bag off the impulse-buy rack too often; you won’t be doing your heart any favors (or your wallet)!